A poet showed me the flames over the bus before I ever saw them myself. No matter how many times I had looked, I had seen only Pius XXI and the bare arm. 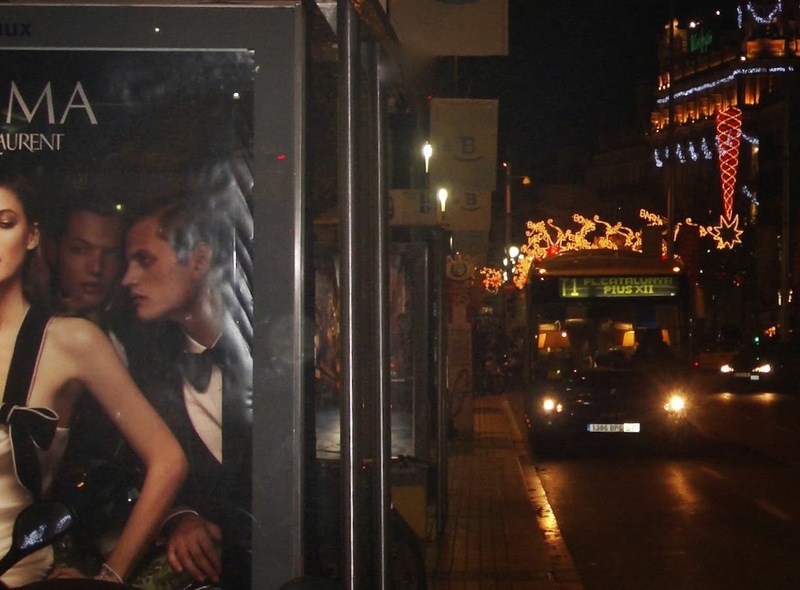 It was an accidental collage caught in Barcelona at Christmas-time when the hotels are cheap, when the Ramblas whores and thieves are thinned out by visits home. When the cool air carries with it the fragrance of chickens roasting in the window of restaurants like Las Carracoles where you eat snails and paella at your own risk. The author Karen Brennan knows the real terrain of collage -- the incidence of found objects, the mise-en-scene of place. A good essay, “Some Reflections on the Concept of Place in Place in Fiction” can be found here, A Kite in the Wind . But the essay I really want to read one day would come from her 2009 class, “Collage/Assemblage” where she talked about the wolf tones of collage found in her extraordinary memoir, Being with Rachel.